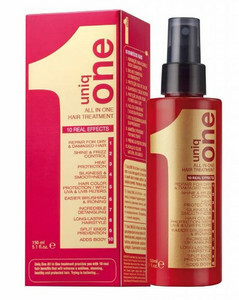 Uniq One means 10 different products in one! 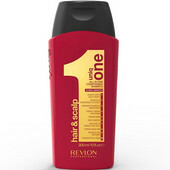 Repair for hair and damaged hair. On wet hair: Spray from a distance of about 20 cm from hair. Detangle hair with a comb. Finish with the usual style: blow dry, straighten, or air-dry. Use the usual finishing product. 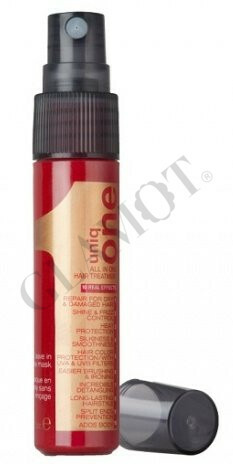 On dry hair: Spray onto the palm of the hand. 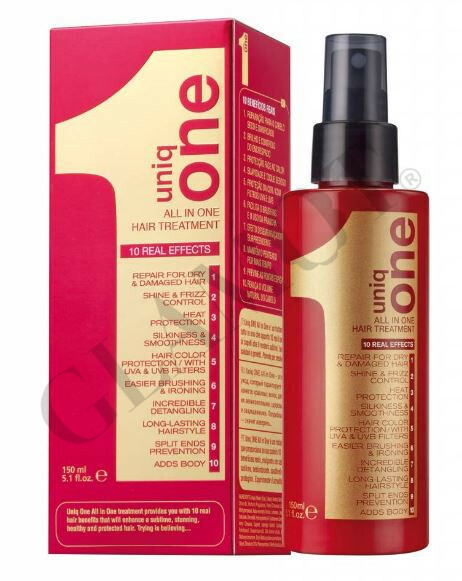 Rub product between the hands and apply to hair from mid-lengths to ends. If necessary, refresh style with straightener or drier. Use the usual finishing product.